Battletoads Arcade is an arcade beat-em up that was developed by Rare and published by Electronic Arts in 1994. 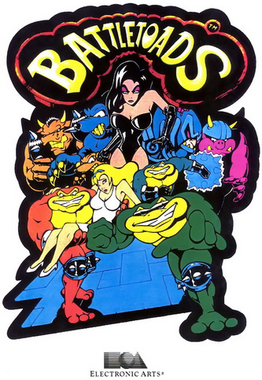 This is the fifth title in the Battletoads series and according to a Rare employee was a failure. I played this game off of the Rare Replay for the Xbox One. Up to three players can play simultaneously using Rash, Pimple and Zits in their quest to defeat the Dark Queen in an alternate universe. 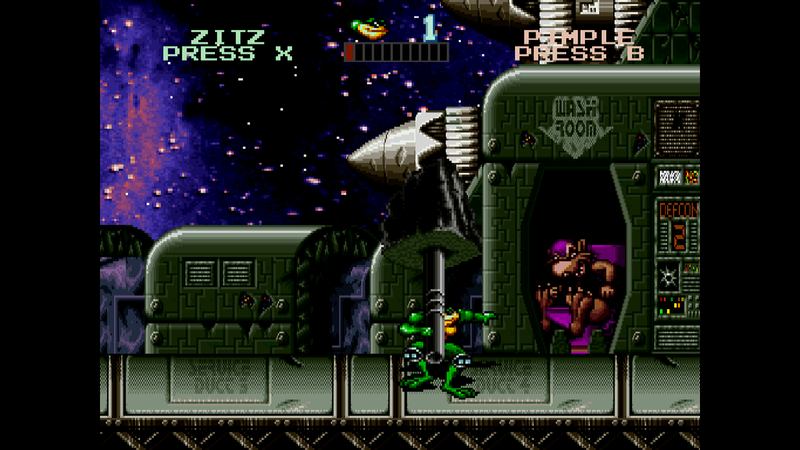 My brother had the original Battletoads on the NES and we played it all the time. I had no idea that his game, or any of the others existed until the Rare Replay was released with this game on it. Since this game wasn't going to be released on a home console Rare ramped up the carnage. It is much bloodier than the original. 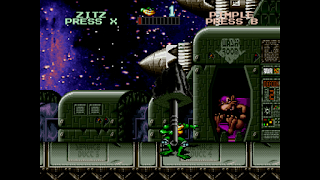 They also made the game much more adult with the addition of enemies coming out of the bathroom to fight you and guys barfing after you beat on them a bit. You would never see something like this on a Nintendo console. 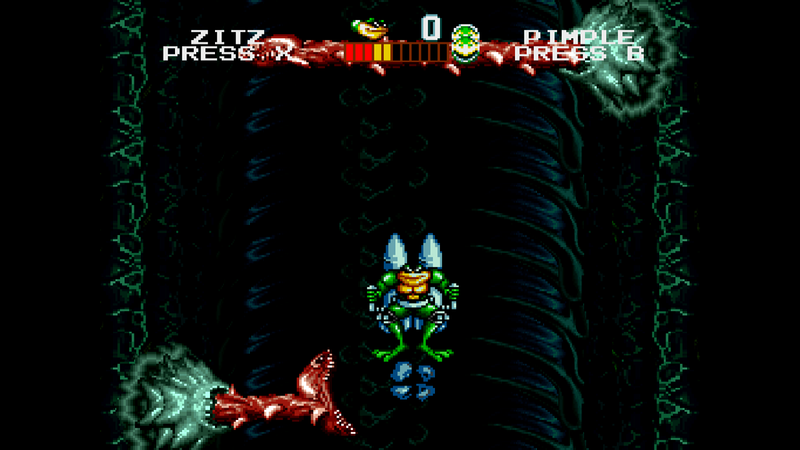 Battletoads Arcade is not a deep game, it doesn't try to reinvent the wheel and that may be why I've never heard of it until now. 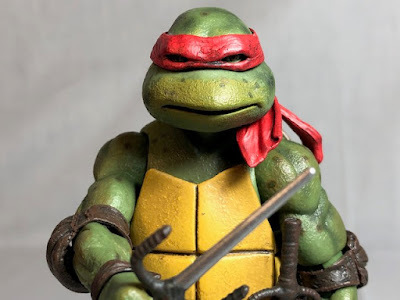 It isn't a bad game, it's just a typical beat-em' up, no more and no less. I had fun playing this game but make no mistake this is a pretty tough game. If you wanted to beat it on an actual arcade cabinet make sure you knock off Fort Knox before you play. 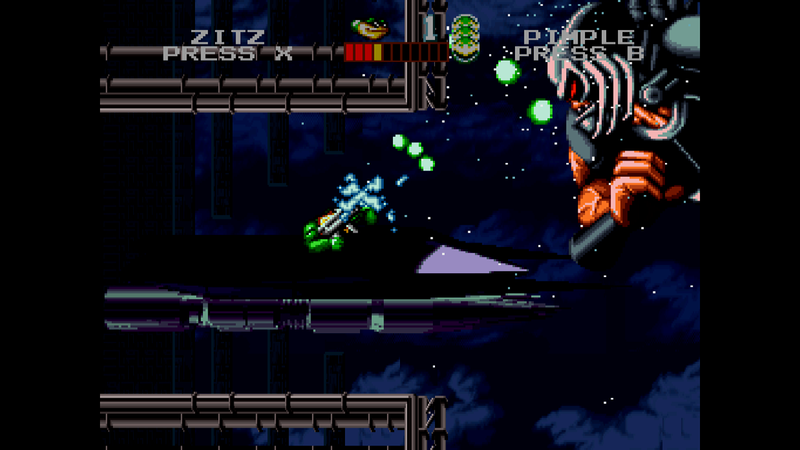 To beat these big guys you have to grab their junk and wail away on it. Rare serves you up six levels of play with each having a unique style. You fight in space ships, in a winter wonderland level, a vertical cave level like the one in the original game. 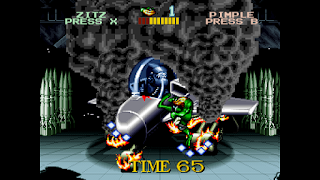 You even get a bonus level right out of Street Fighter 2! Beating up on space ships trumps a car, at least on a dollar standpoint. The last level is a shooter with the toads riding on an open topped ship blasting away on all the bad guys. The last battle took forever and just when you think you've finished him off for good he comes back for more. Overall this game isn't too bad. I had fun with the game with it taking a little over an hour to finish. It would probably be more fun with some buddies. It's definitely not as good as the original on the NES but it's nice that they put it on the compilation so people can try it out since I'm guessing most people never even heard of it. 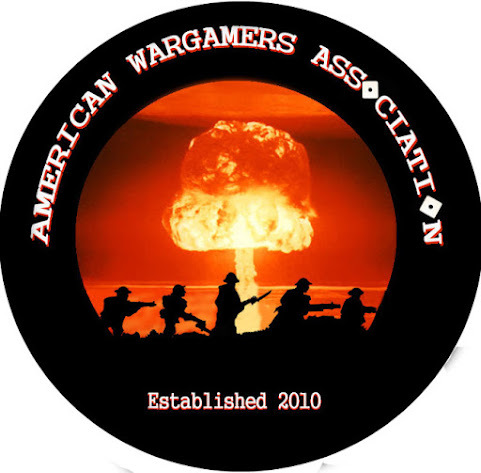 If you liked the original game try it out. 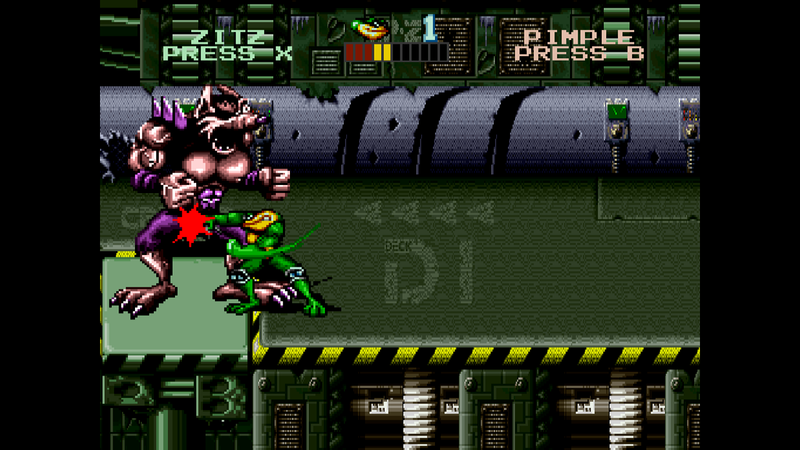 I give Battletoads Arcade an 6 out of 10.